Cash, Checks, Visa, MasterCard and Discover credit cards and Health Savings Account debit cards. Services may be reimbursable by your health insurance plan if you have a PPO, POS, or traditional indemnity type of insurance plan. Flex Spending Accounts, HSAs, MSAs and other sources of health care funding may also be applied to therapy services. 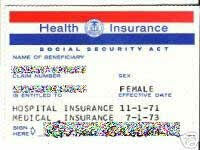 Traditional Medicare is accepted and is the only insurance billed directly for clients by this office. 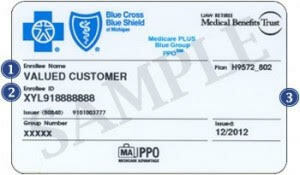 If clients have Medicare Advantage and Medicare Complete plans, they must pay in full at time of service. These plans may or may not cover these services and the client is responsible for completing claims forms and filing for reimbursement. the rate is $175.00 for a 45-50 minute session. This is the same rate for individuals, couples, or families. Dr. Firestein is a participating provider for Medicare and accepts original Medicare coverage. She is able to bill Medicare for you. If you also have a Medicare Supplement, in most cases Medicare will automatically bill your secondary insurance and you will not have to do so. In this case, the primary (Medicare) plus your supplement will usually cover the of your charges for outpatient psychotherapy services. Please keep in mind, however, that there may be a deductible or co-pay for the services provided. If so, those amounts are due at the times services are delivered. Dr. Firestein regrets that she is unable to accept or bill for clients with “Medicare Advantage” plans, such as those affiliated with Humana, United Health Care, Aetna or other third party insurance administrators because she is not a preferred provider for these Medicare plans. If you have a Medicare Advantage Plan and you wish to see Dr. Firestein, she will charge you the Medicare allowable rates. If you have further questions regarding the type of plan you have or how these plans differ from regular Medicare, please contact your insurer using the phone number on the back of your insurance card.